There are various situations in which a treadmill walking workout is simply ideal. Many people conjure up images of stick-thin, muscular athletes sweating away while reaching maximum speeds when the word “treadmill” is uttered. However, the great thing about treadmills is that they can be used according to each person’s personal fitness level. You are nursing an injury. You just don’t feel like running (rather walk than skip your training entirely). You are a beginner treadmill runner. You do not enjoy high intensity running. You are performing interval training. 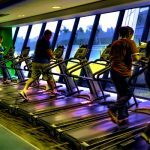 Many people prefer adopting treadmill walking routines. We look closely at why and what these are all about. Beginners are often the greatest percentage of people who use walking workouts on treadmills. It is important that, as a beginner, you start using the treadmill very slowly. 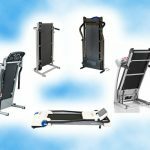 Many novice treadmill users try to put all their efforts on their first treadmill workout and wind up overdoing it or – even worse – injuring themselves. It is best to get a feel for the treadmill the first few times that you use it. Allow you to master how the treadmill works. Make you feel secure in your ability to control the treadmill. Allow you to gradually build up to a pace that suits you. Walking on the treadmill forms an imperative part of interval training, which is one of the best weight loss workouts you can perform. While regular interval training combines walking or slow jogging with spurts of sprinting, you can also adapt this to walking combined with spurts of high intensity speed walking. This should reap good results and prepare you for something more should you wish to increase the challenge level. The incline function on a treadmill is probably one of the most loved modes. This is because it is wonderful for toning your entire lower body but also burns a massive amount of fat. Because you are walking, it also does not feel as strenuous although you will certainly feel the pain at some point. You should definitely incorporate this into your treadmill routine whether you prefer to walk or run. In today’s modern society, many people are stuck sitting behind desks all day and lead highly sedentary lifestyles. It is so important that you make time to at least move around and walk during the day. The power of merely walking is often underestimated. With a busy and stressful lifestyle, it can be difficult to find the time and motivation to head off to the gym after work. However, if you invest in a treadmill, you can hop on and do thirty to sixty minutes of walking whenever it suits you best. Many people do not stick to exercise regimes because they lose interest or find their exercise plans far too challenging. As soon as you have an off day where you are considering skipping training completely, rather just resolve to walk instead. At least in this case you are still committing to some form of activity. There is also a good chance that once you get started, you will feel motivated to push yourself a little bit harder. Running is an extremely high impact and high intensity activity that exerts your body in a major way. The amount of pressure put on the joints while running is astounding and it is for this reason that runners often deal with copious joint injuries. 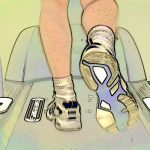 You need to learn a safe running technique as well as purchase highly supportive shoes in order to run. Walking is extremely safe – considering that your posture is correct, and can be done by people all ages and sizes. Buying a treadmill can be quite a nightmare if you don’t know what to look for. There are so many options and they can reach insanely high prices. 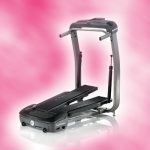 If you are a beginner, the best treadmill for walking is the good quality entry-level one that will not cost you an arm and a leg. 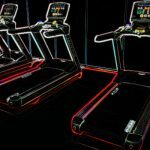 This is good news, since high-end treadmills can cost you approximately $5000 or more! 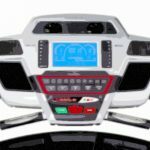 Entry-level treadmills usually cost between $500 and $1500. However, be sure that the one you buy offers quality basics. 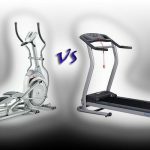 Warranties are necessary so get a treadmill with the best ones on sale.